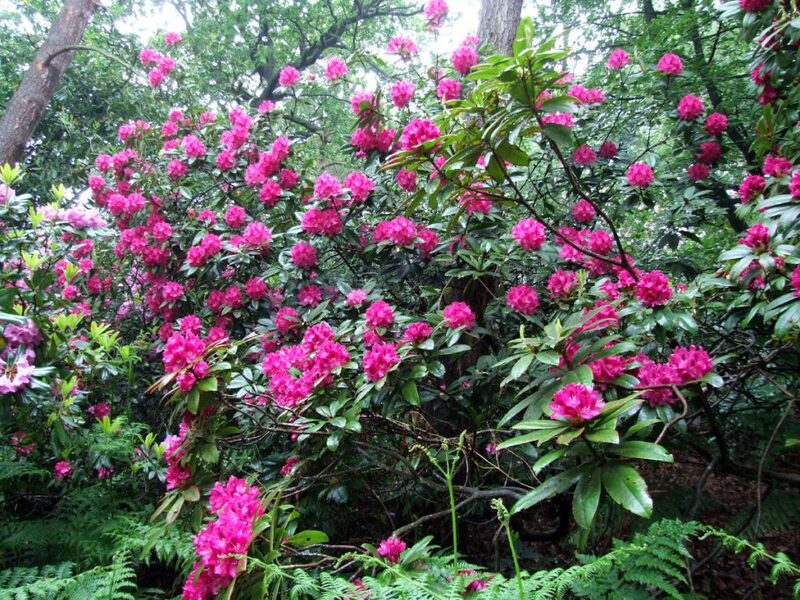 These are collections of photos taken of the old Hardy Hybrid Rhododendrons in Park Wood between April and June. They can be considered as being in three groups, i.e. 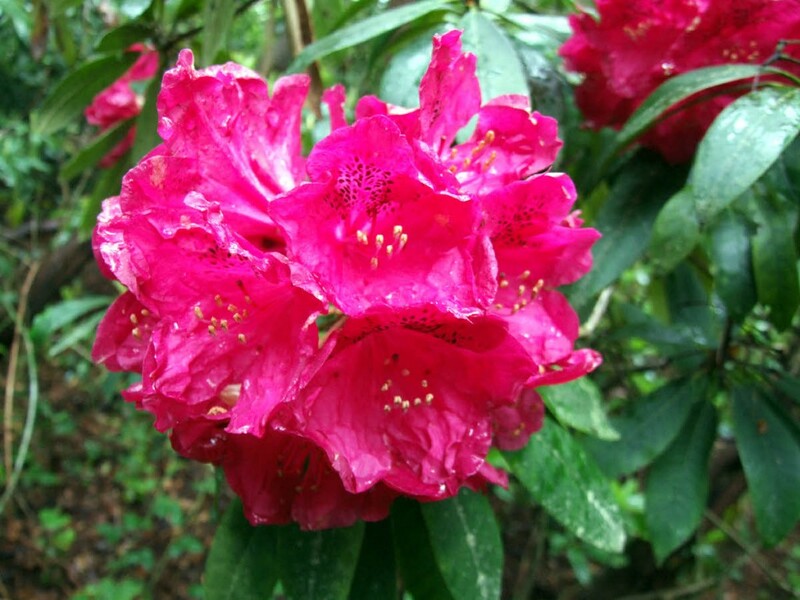 early, mid-May and late flowering. R. caucasicum "Pictum". Caucasicum hybrid, listed by Standish & Noble, 1853. Photo: 1st April 2012. R. "Cunningham's White". Caucasicum x white-flowered ponticum, registered by J. Cunningham, c. 1830. Photo: 27th April 2012. R. caucasicum "Pictum" trees in Park Wood, 1st April 2012. "Cunningham's White" trees in Park Wood, 27th April 2012. 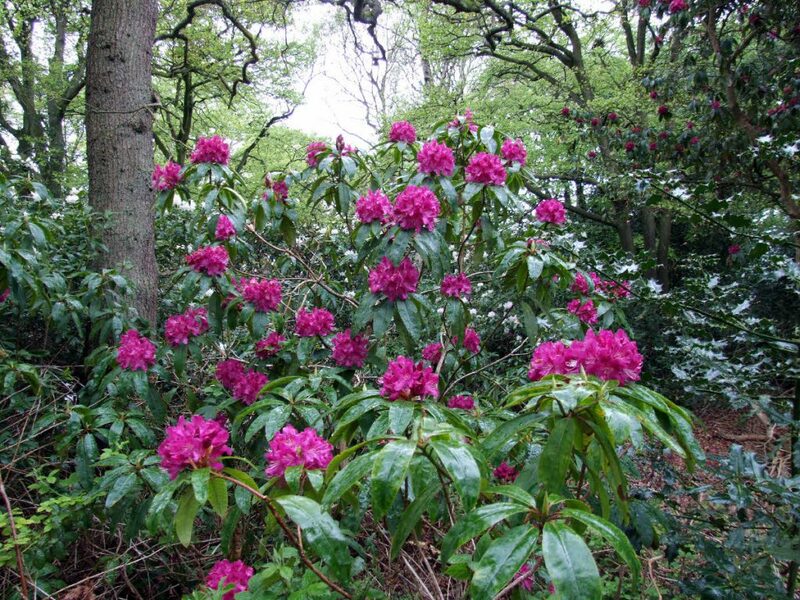 Rhododendron "Purple Splendour" tree in Park Wood, 11 May 2012. 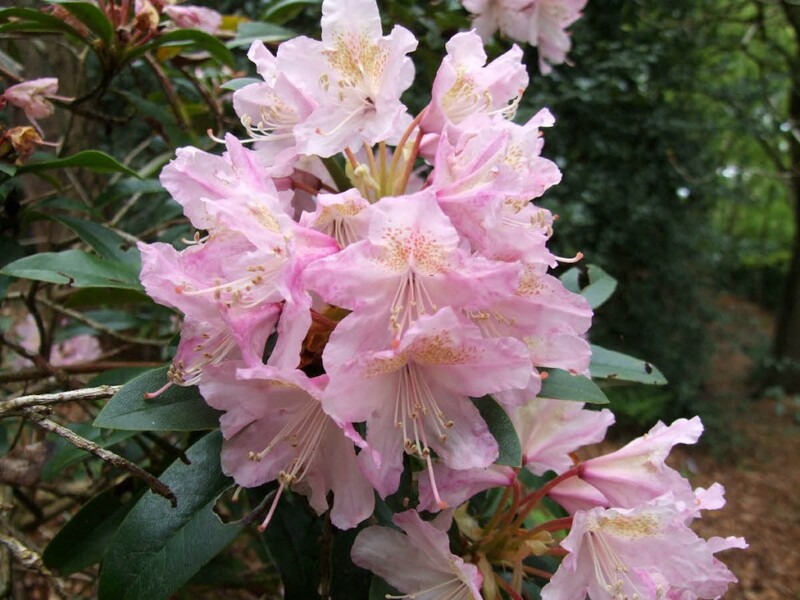 Rhododendron ‘Pink Pearl’. 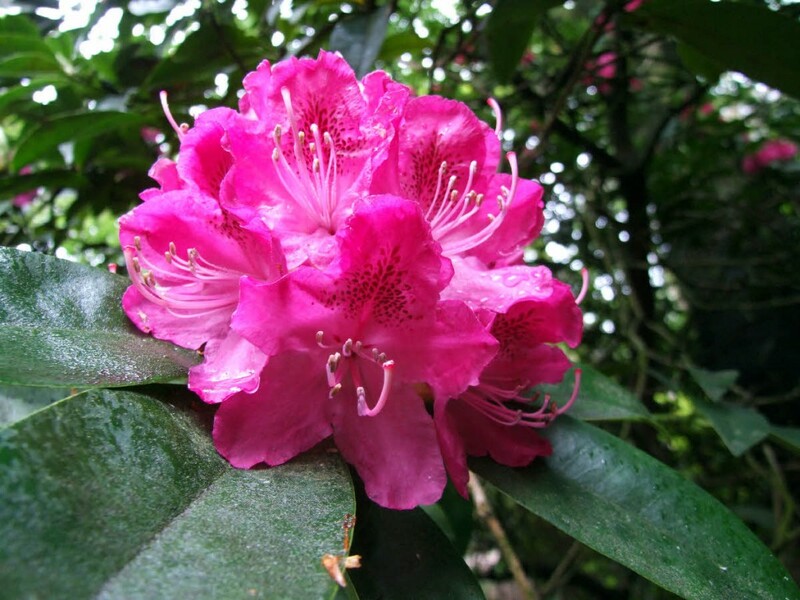 ‘George Hardy’ x ‘Broughtonii’, registered by Waterer, pre 1892. Photo: 11 May 2012. 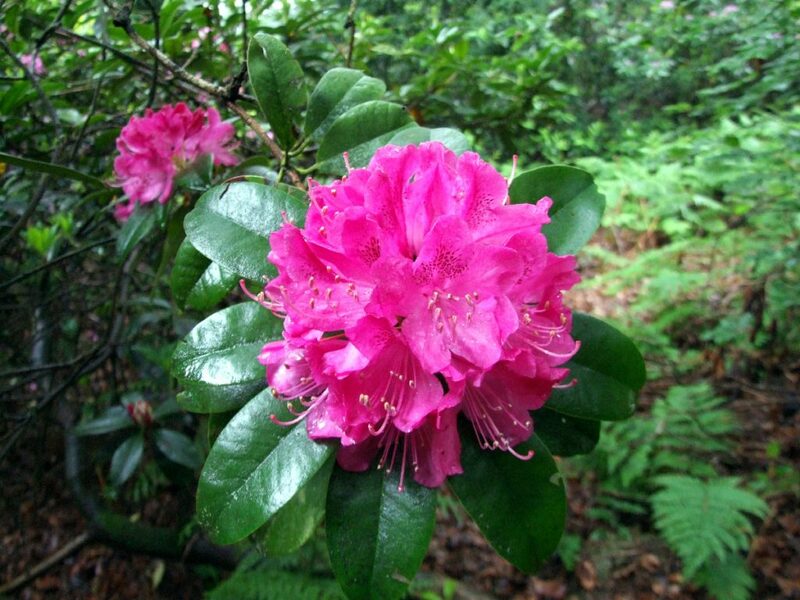 Rhododendron 'Album Elegans'. 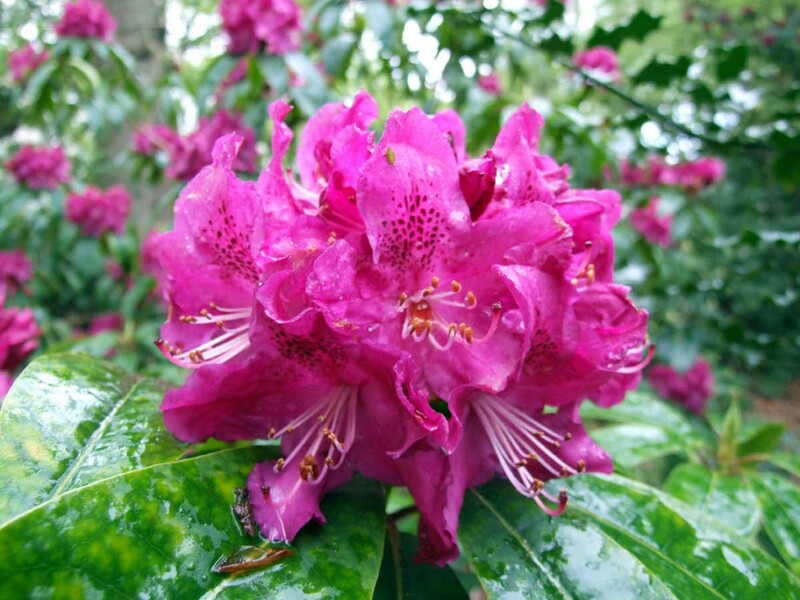 Selection or hybrid of catawbiense, registered by Waterer pre 1847. Photo: 11 May 2012. 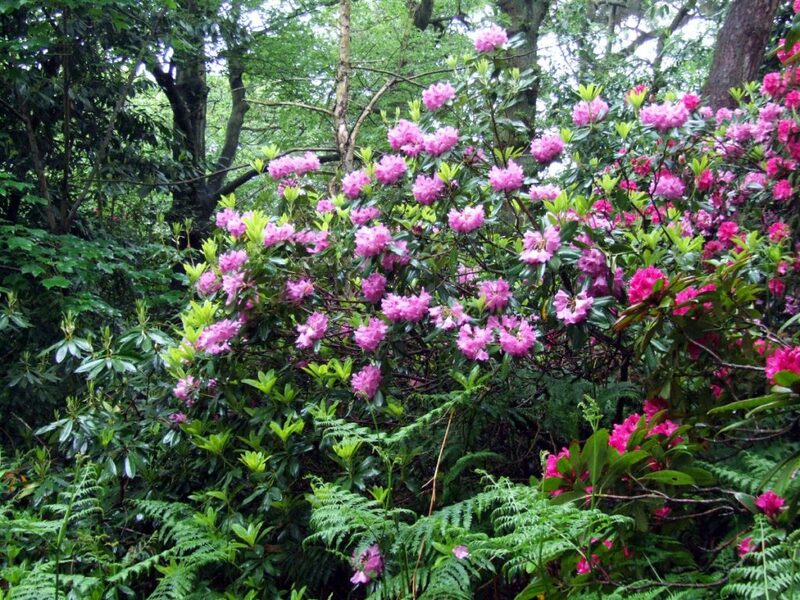 Rhododendron ‘Pink Pearl’ tree in Park Wood, 24 May 2014. 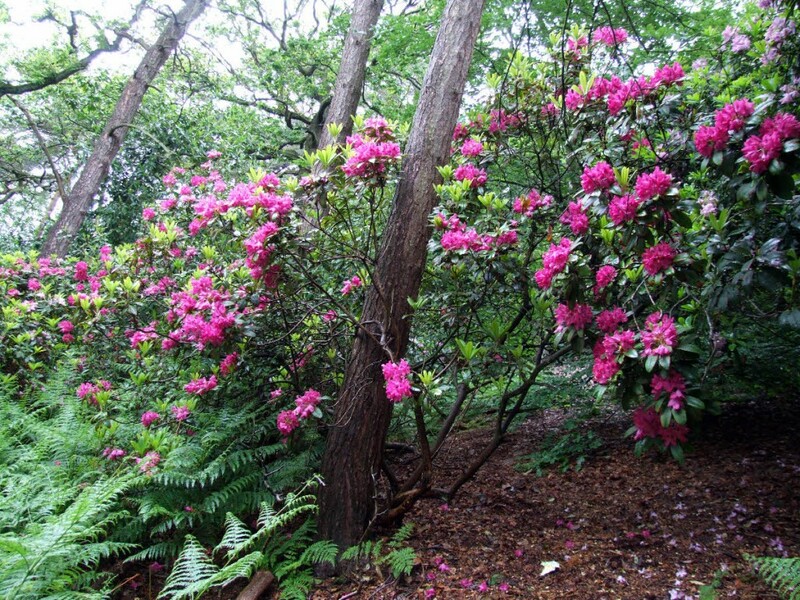 Rhododendron ‘Old Port’ tree in Park Wood, 11 May 2012. 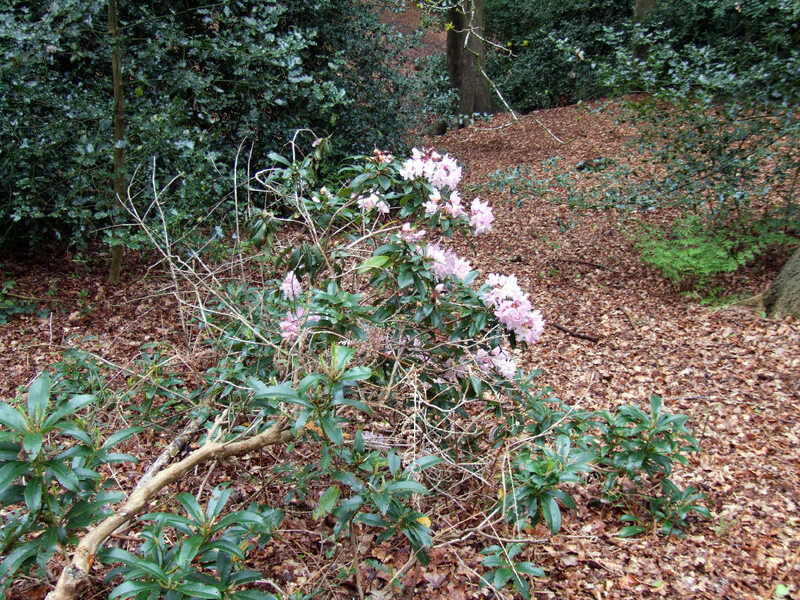 Rhododendron 'Album Elegans' tree in Park Wood, 11 May 2012. 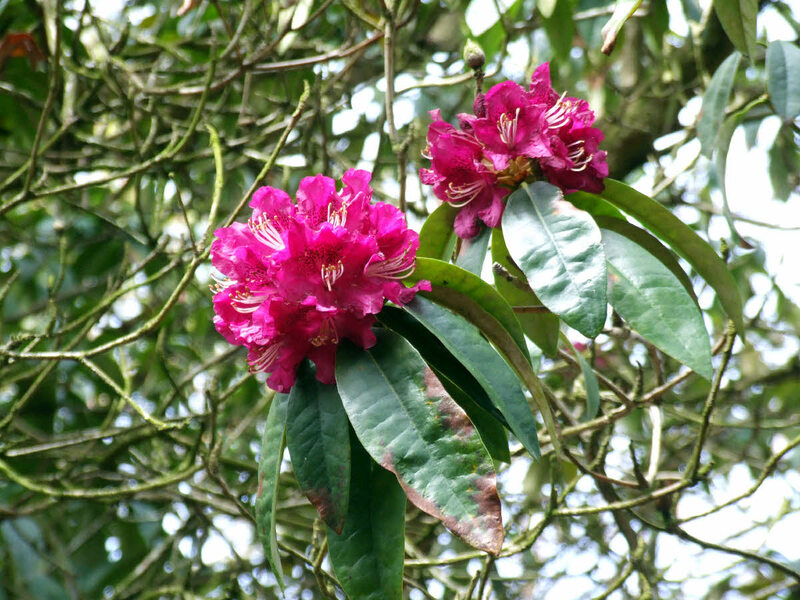 Rhododendron 'Chevalier Felix de Sauvage'. Caucasicum x un-named Hardy Hybrid, registered by C. Sauvage c. 1870. Photo: 8 June 2012. 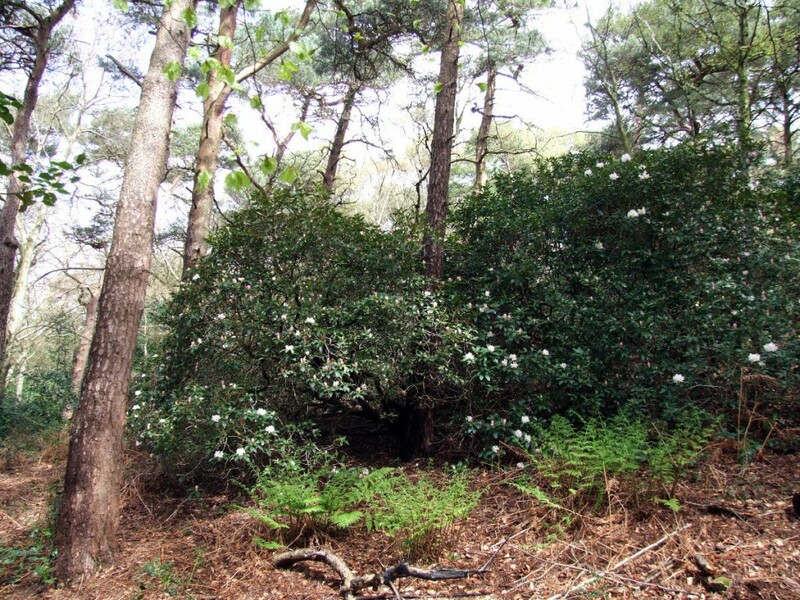 Rhododendron 'Chevalier Felix de Sauvage' tree in Park Wood, 8 June 2012. 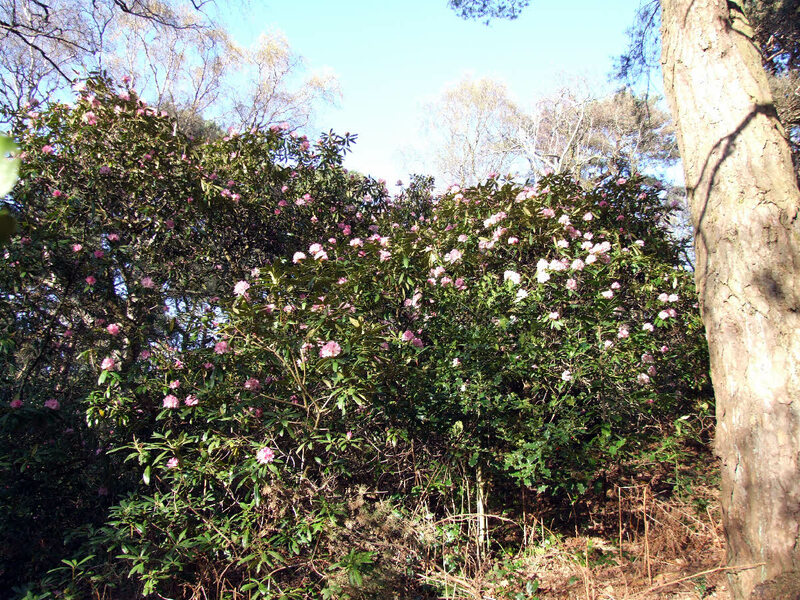 R. 'Amphion'. 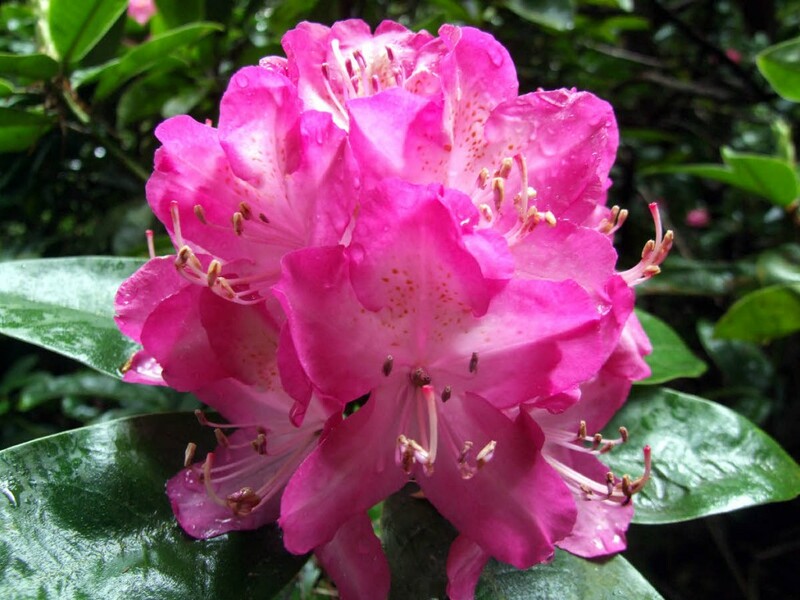 Catawbiense hybrid, registered by Waterer pre 1890. Photo: 8th June 2012. 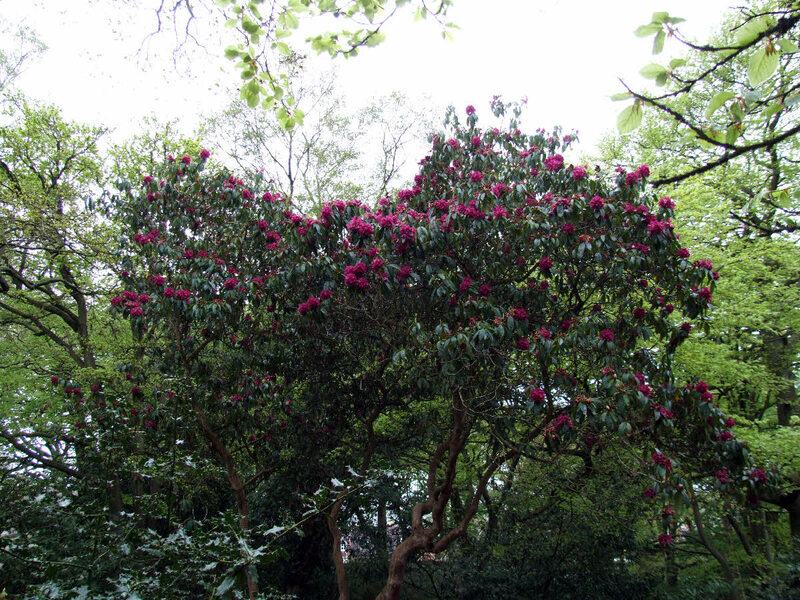 Rhododendron ‘Amphion’ tree in Park Wood, 24 May 2014. 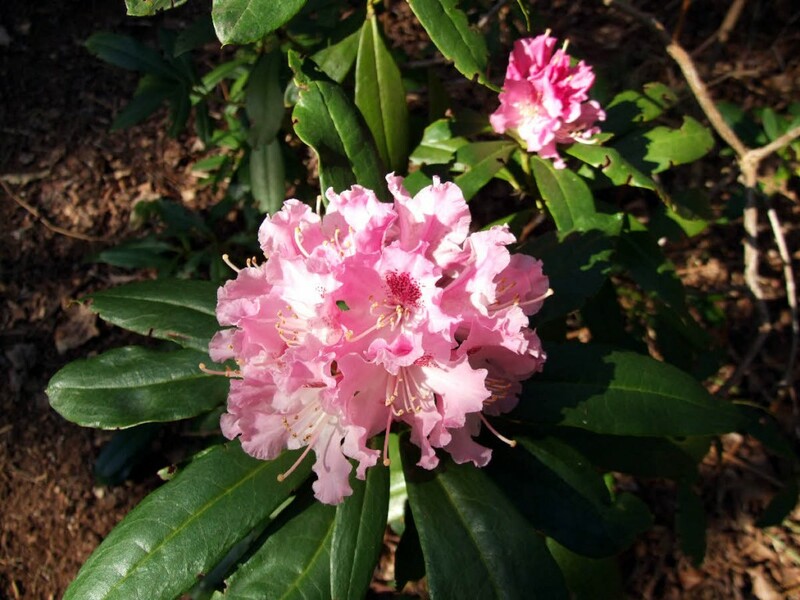 Rhododendron 'Frederick Waterer'. Catawbiense hybrid, registered by Waterer c. 1865. Photo: 8 June 2012. 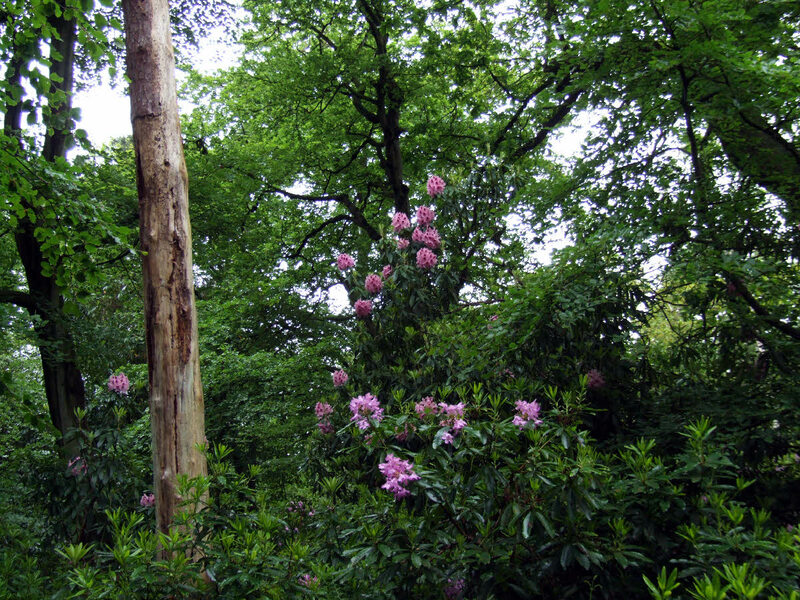 Rhododendron 'Frederick Waterer' tree in Park Wood, 8 June 2012. 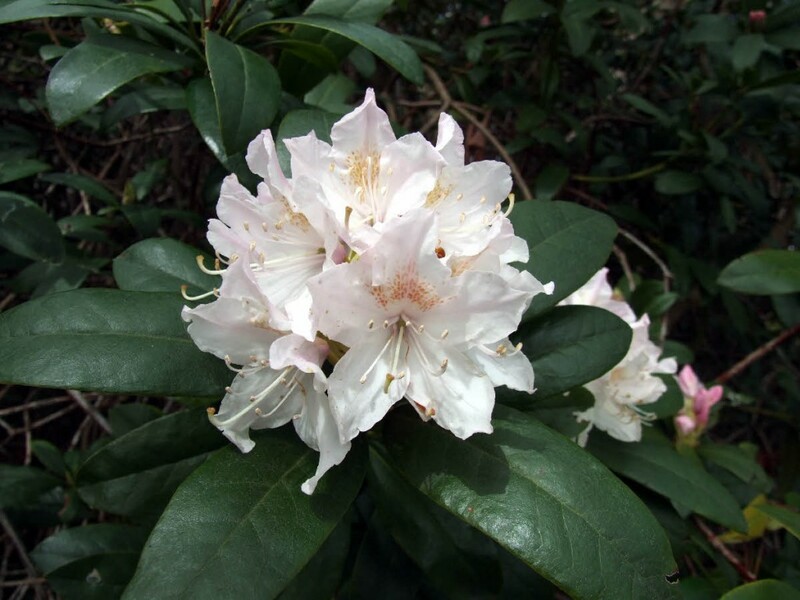 Rhododendron 'Marchioness of Lansdowne', maximum hybrid, registered by Waterer c. 1879. Photo: 8 June 2012. 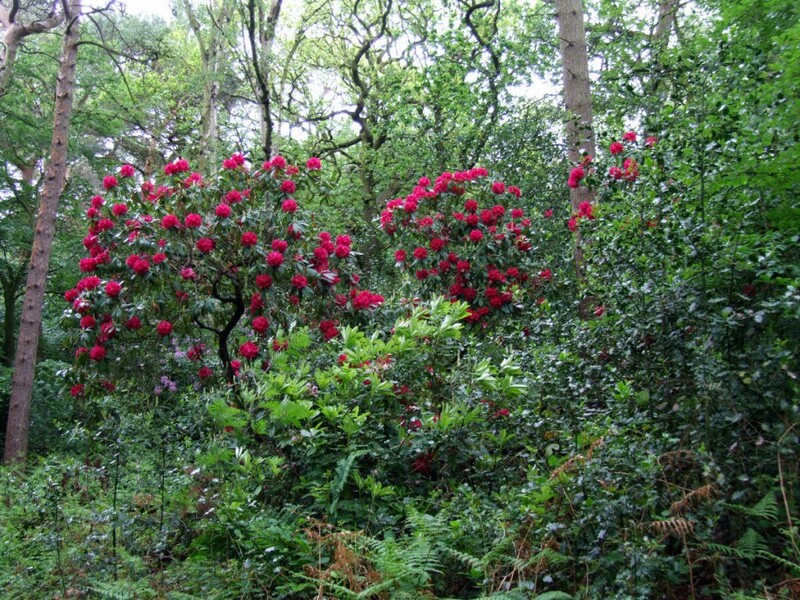 Rhododendron 'Marchioness of Lansdowne' tree in Park Wood, 8 June 2012. 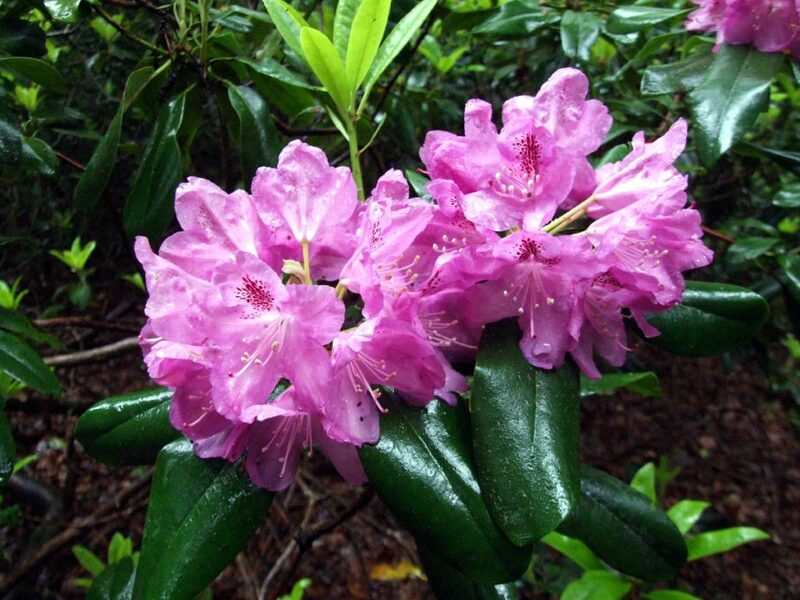 Rhododendron ‘Cynthia’. Catawbiense x griffithianum, registered by Standish & Noble, 1856. 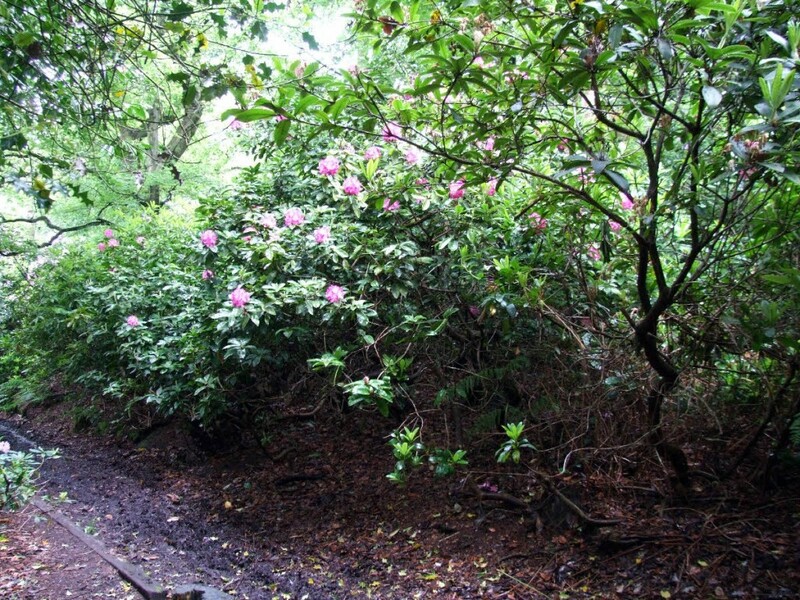 Photo: 24 May 2014, in Park Wood. 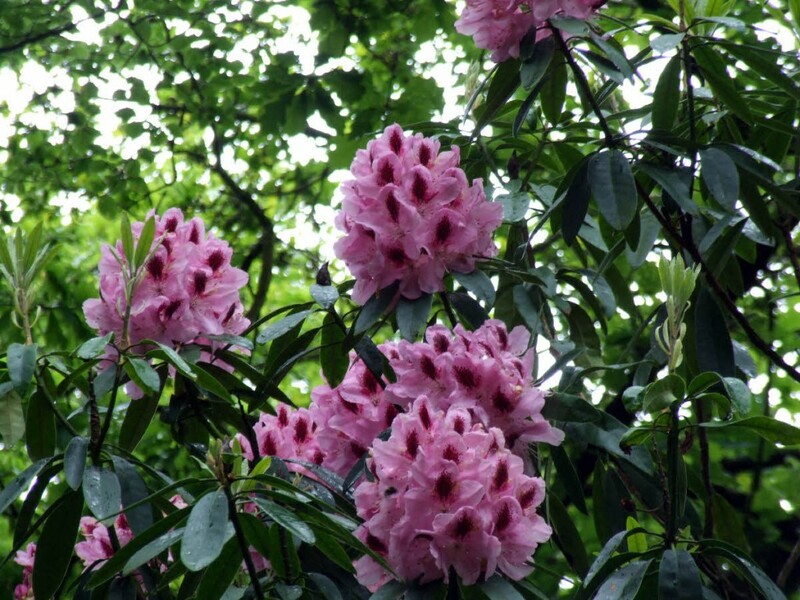 Rhododendron ‘Cynthia’ tree in Park Wood, 24 May 2014. 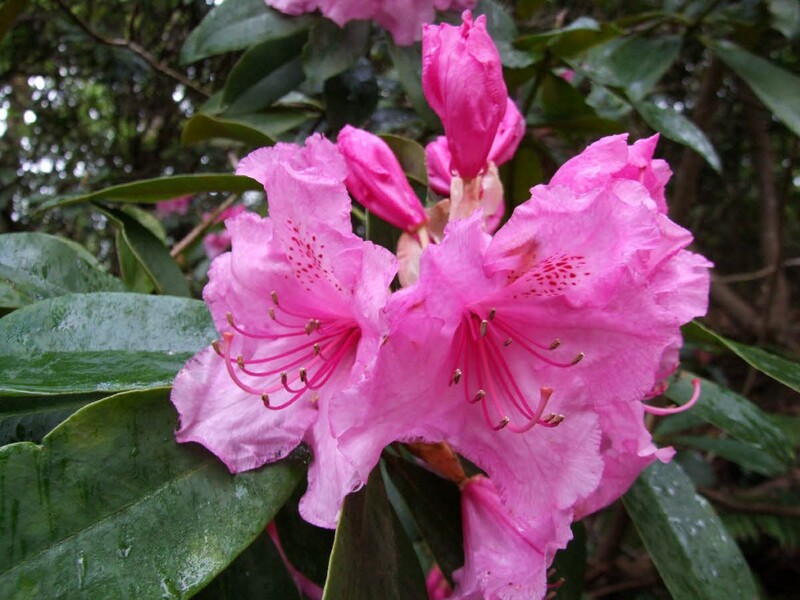 Rhododendron ‘Mrs John Waterer’, catawbiense hybrid, registered by Waterers, c 1857. Seen in Park Wood, 24 May 2014. 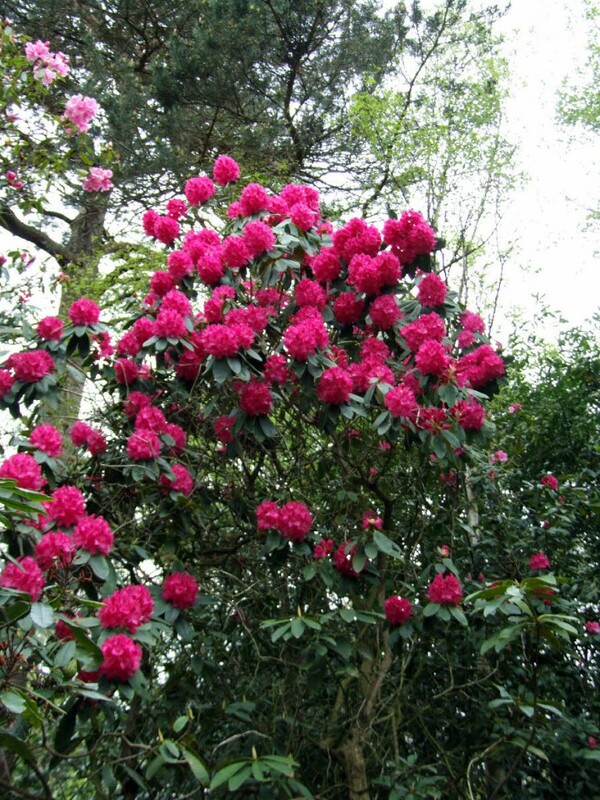 Rhododendron ‘Mrs John Waterer’ tree in Park Wood, 24 May 2014.